The Sniper! is a dynamic and universal opening system that fills in the gaps for the Black player who plays the Accelerated Dragon, the Dzindzi Indian or other Black Fianchetto defences. Black's system of development with 1...g6 and 2...Bg7 allows White to ccupy the center, but in true Sniper! Modern style, Black strikes back with an early c5. The Sniper! can lead to many original or barely touched upon positions in which Black has very good theoretical chances, but even better practical chances as his opponent is on unfamiliar turf. The Sniper! is also very rich in potential transpositions into favorable Sicilian, Dzindzi Indian, King's Indian or Benko Gambit type positions. Grandmaster Ron Henley has spent years playing 1...g6 systems and with the Sniper! has now bridged the gap between the Accelerated Dragon and his beloved Dzindzi Indian. In The Sniper! DVDs he will show you how to play and his own personal recommendations against each of White's major third move alterations, as well as special antidotes to the Maroczy Bind and English. Foxy Opening Volume 136 The Sniper! A Dynamic Universal System For The Aggressive Black Player Vol 1 Volume 1 covers The 3.Nc3 c5! Variation of The Sniper The Sniper! is a dynamic and universal opening system that fills in the gaps for the Black player who plays the Accelerated Dragon, the Dzindzi Indian or other Black Fianchetto defences. Black's system of development with 1...g6 and 2...Bg7 allows White to ccupy the center, but in true Sniper! Modern style, Black strikes back with an early c5. The Sniper! can lead to many original or barely touched upon positions in which Black has very good theoretical chances, but even better practical chances as his opponent is on unfamiliar turf. The Sniper! is also very rich in potential transpositions into favorable Sicilian, Dzindzi Indian, King's Indian or Benko Gambit type positions. Grandmaster Ron Henley has spent years playing 1...g6 systems and with the Sniper! has now bridged the gap between the Accelerated Dragon and his beloved Dzindzi Indian. In The Sniper! 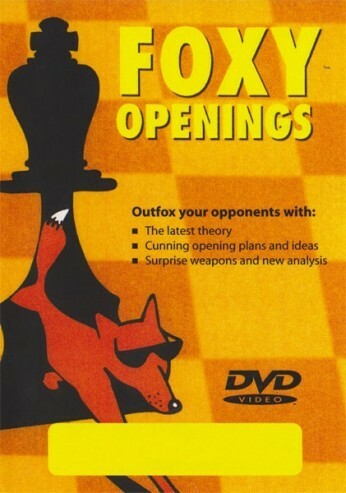 DVDs he will show you how to play and his own personal recommendations against each of White's major third move alterations, as well as special antidotes to the Maroczy Bind and English.